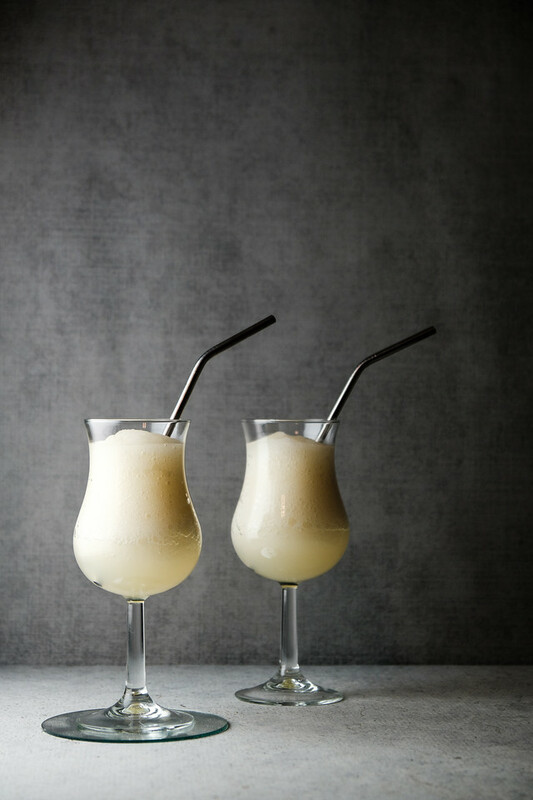 This Classic Frozen Daiquiri is such an easy rum cocktail! Rum, lime juice, simple syrup and ice are all you need to make this delicious daiquiri! Click here to pin this Classic Frozen Daiquiri now! The Daiquiri – Such an Easy Cocktail! Sometimes you want fancy. Lots of ingredients. Lots of complex flavors. Sometimes you feel like having liquor bottles lined up with a jigger of this and a jigger of that thrown in. Then again, sometimes you don’t. Sometimes you want the simplest most classic cocktail, something you can whip up in a matter of minutes. The Classic Frozen Daiquiri fills the bill perfectly. If you want a daiquiri that’s a teeny bit more complex, you should try my Hemingway Daiquiri. Make them both and compare, that sounds like a fun experiment! It was Saturday night and we needed a cocktail. I needed one for this post and I needed one because I spent the morning walking the Tennessee Riverwalk in inappropriate shoes, in a bazillion degrees heat. Yes, I know it’s autumn, but someone forgot to tell Mother Nature. It was hot and humid and I could feel the blisters forming. It was a level of miserableness that I usually avoid at all costs. But I was all caught up on my photo editing and blogging and a walk along the river sounded like the perfect getaway. Well, that’s not going to happen again until the temperature drops about 20 degrees. Enter the Classic Frozen Daiquiri. These were just what the doctor ordered. All you need is rum, lime juice, simple syrup and ice. This recipe yields one cocktail. I’m not going to tell you how many I had. Just whip these up in your favorite blender, pour into a classic daiquiri glass, and use eco friendly metal straws. Easy Peasy. 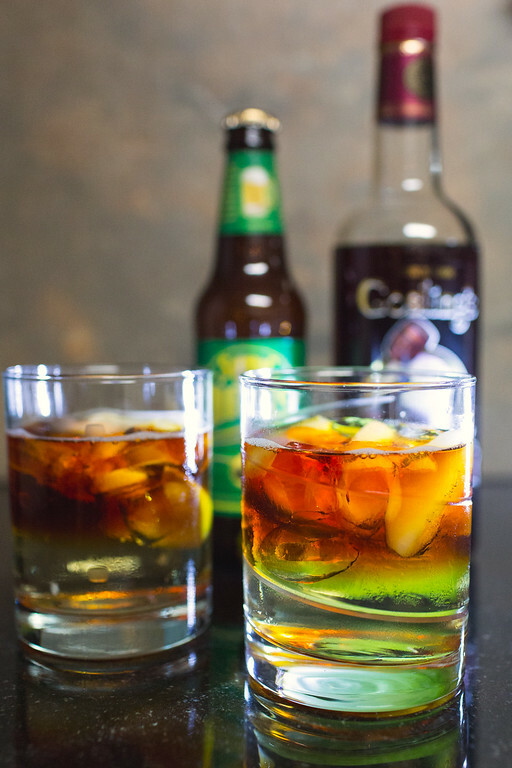 The easiest two ingredient rum cocktail – a Dark and Stormy! 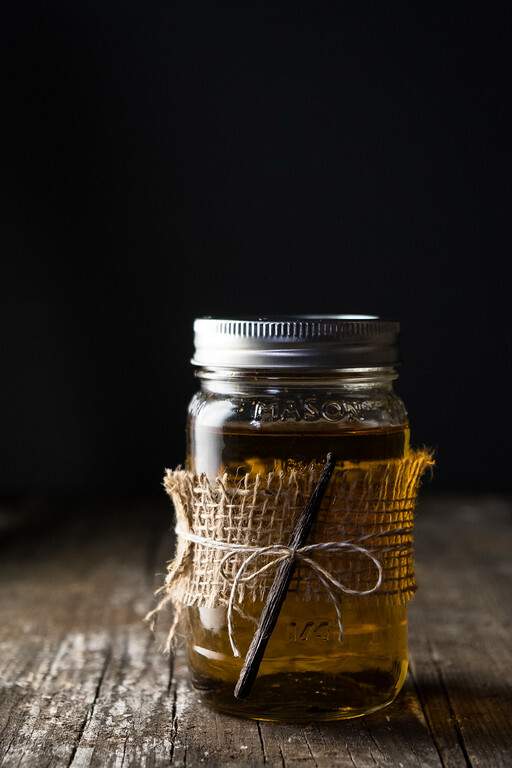 You’ll want to give this Vanilla Infused Rum for holiday gifts, but be sure and make a jar for yourself! Rum, lime juice and simple syrup make this Classic Frozen Daiquiri easy and delicious! Place all ingredients in your blender and process until smooth. 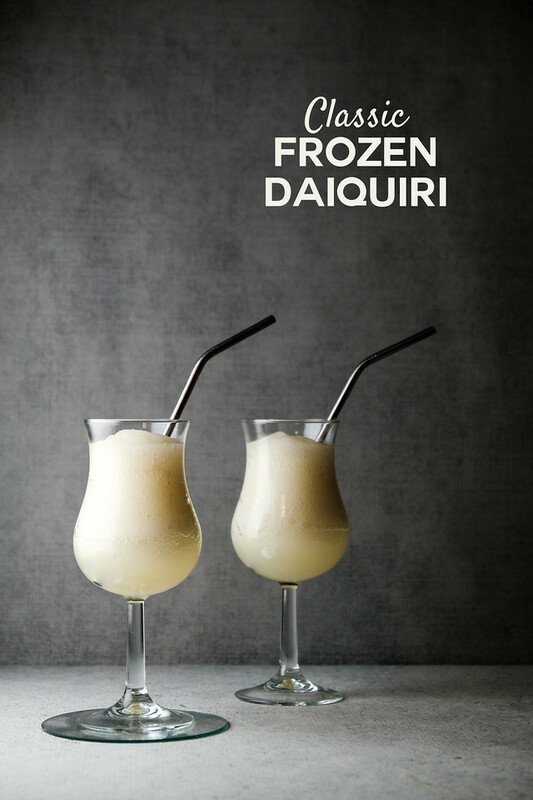 With summer just around the corner, a frozen daiquiri seems like an excellent idea. I bet that vanilla infused rum tastes as good at it sounds …and looks! You can’t mess with a classic! This is one of my faves too. Love the vanilla infused rum too! I love the idea of ‘needing’ a cocktail, I think I am going to take that one and make it mine 😀 This sounds delicious and so very simple! LOVE a daiquiri! So much fun and great for a girls night! Love a classic cocktail! So simple and refreshing! That’s why it’s a classic! The most perfect frozen drink! Sending this over to my daiquiri loving mom!